(CNN) -- President Barack Obama apologized to a couple after his golf game in Hawaii forced the bride and groom to relocate their wedding Sunday. According to a report out from Bloomberg, the couple -- both captains in the Army -- had previously invited Obama to their wedding, knowing that he'd likely return to his family's vacation spot for the holidays. 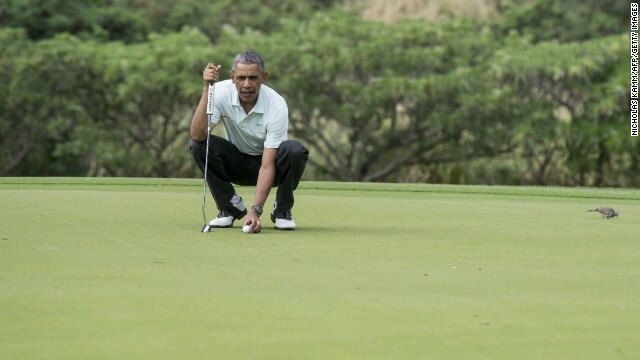 President Barack Obama prepares to putt as he plays golf with Malaysian Prime Minister Najib Razak at the Marine Corps Base in Hawaii on Wednesday, December 24. Here's a look at how Obama and other U.S. presidents have escaped from the pressure of the Oval Office. 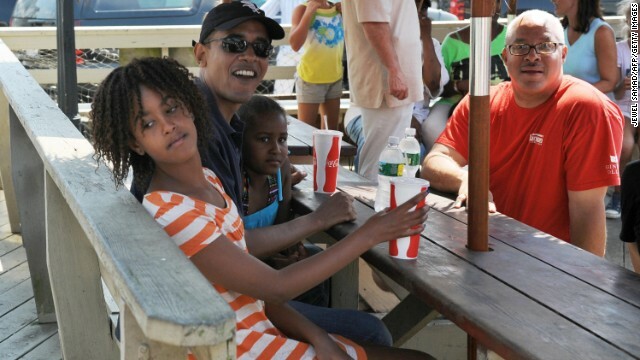 Obama waits for lunch with daughters Malia, left, and Sasha at a Martha's Vineyard restaurant in August 2009. 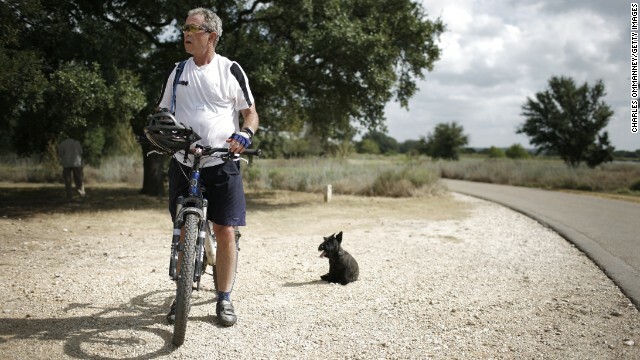 President George W. Bush rides a bicycle at his ranch in Crawford, Texas, in August 2007. 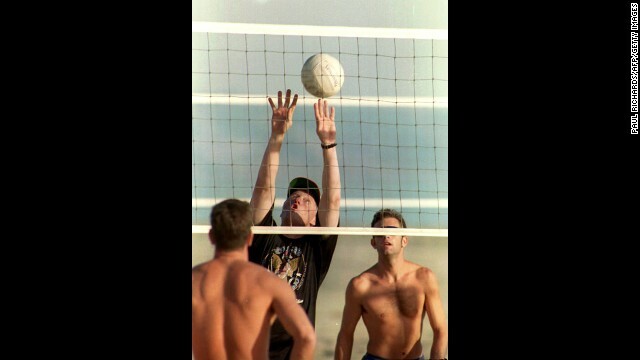 President-elect Bill Clinton plays volleyball in November 1992 on a Pacific Coast beach. 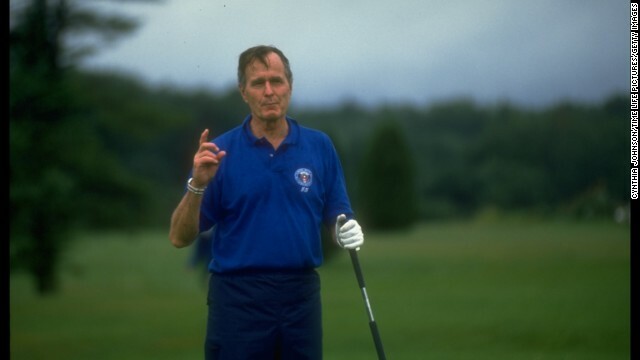 President George H. W. Bush pauses to speak to the media while he plays golf in Kennebunkport, Maine, in August 1990. 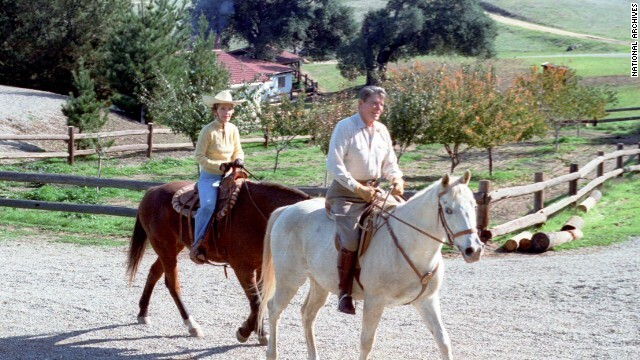 President Ronald Reagan and first lady Nancy Reagan ride horses at their vacation home in Santa Barbara, California, in November 1982. 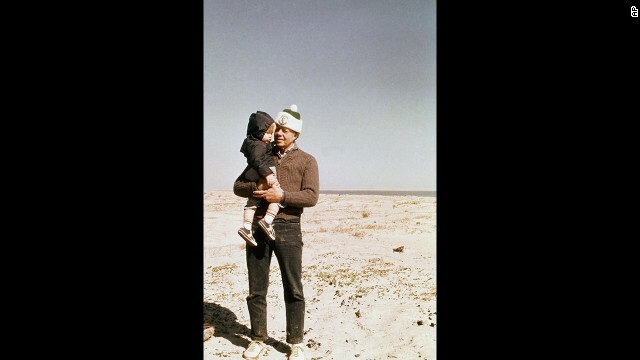 President-elect Jimmy Carter vacations at St. Simons, an island off the coast of Georgia, in November 1976 following his election victory. 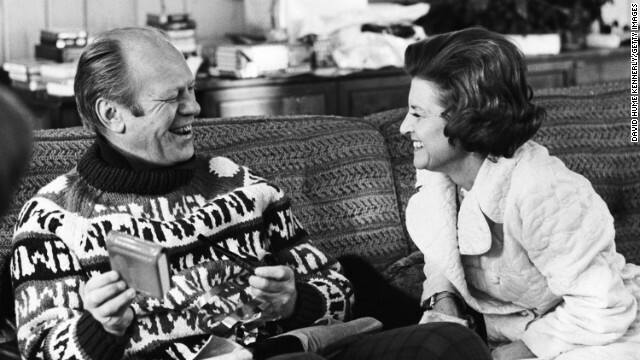 President Gerald Ford opens a gift from his wife, Betty, during their usual Christmas holiday vacation spot in Vail, Colorado, in December 1974. 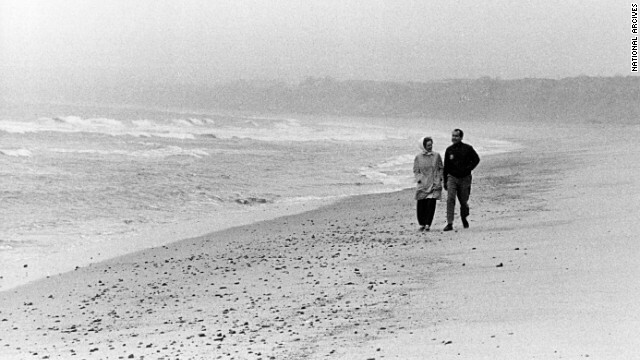 President Richard Nixon and his wife, Pat, walk along the beach in San Clemente, California, in 1971. 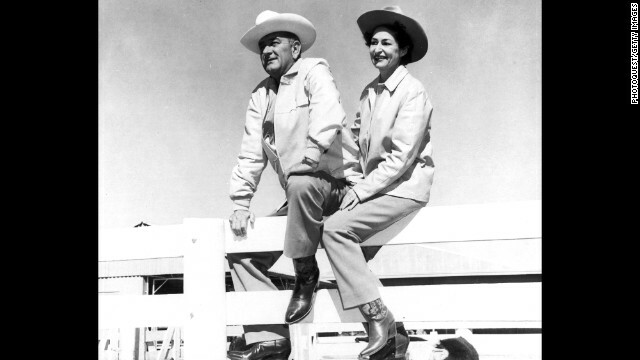 President Lyndon Johnson and his wife, Lady Bird, often vacationed at the LBJ Ranch in Johnson City, Texas. 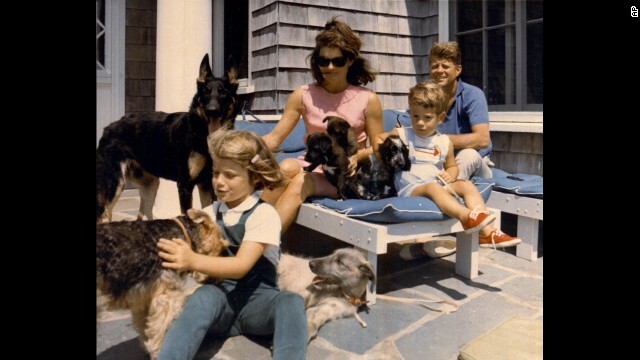 President John F. Kennedy, far right, vacations with his family in this undated photo. 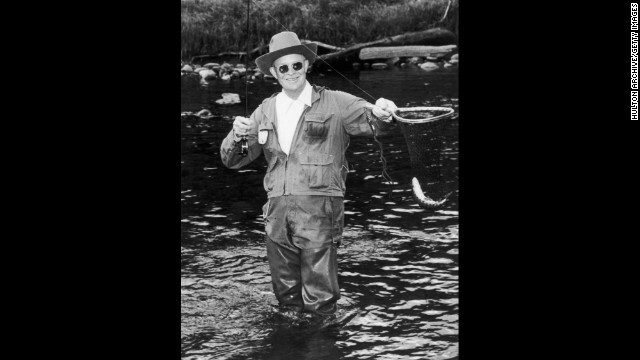 From left is daughter Caroline, first lady Jacqueline and son John Jr.
President Dwight Eisenhower fishes the North Platte River in 1953 at the Swan Hereford Ranch in Colorado. Eisenhower also enjoyed golf trips to Augusta, Georgia. 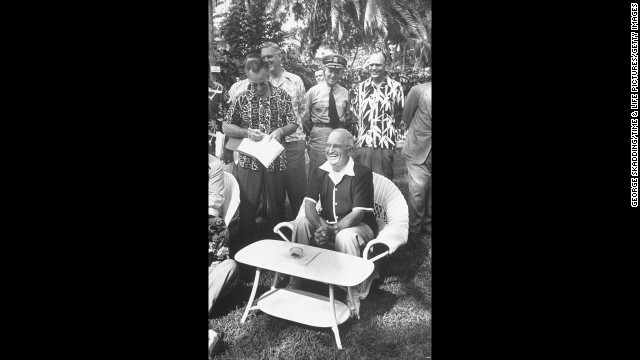 President Harry Truman holds a news conference during a vacation in 1951. 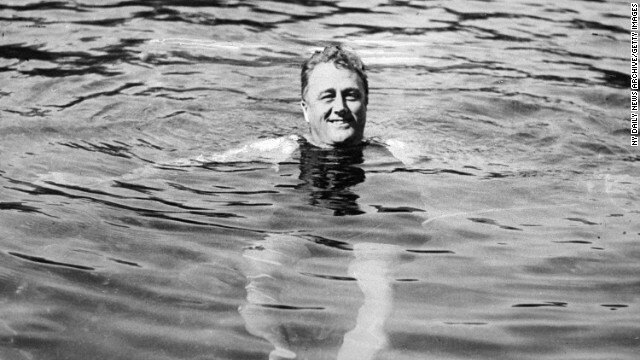 President Franklin D. Roosevelt swims in Warm Springs, Georgia. 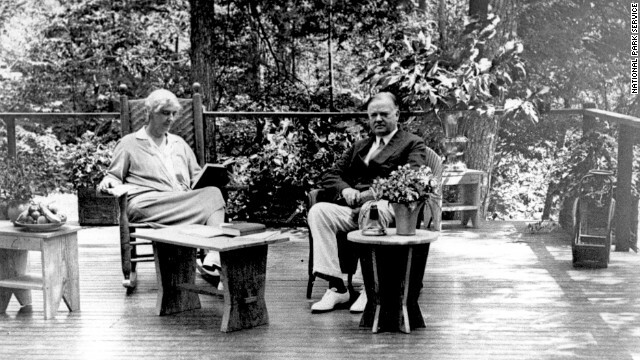 President Herbert Hoover and his wife, Lou Henry, sit on the porch of their Radipan Camp retreat, which is now part of the Shenandoah National Park in Virginia. The president originally bought the land for the vacation spot in 1929. 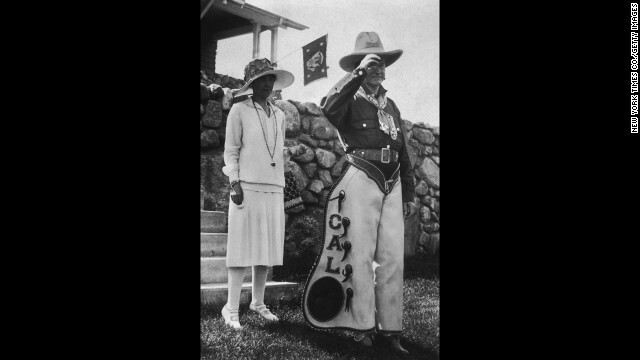 President Calvin Coolidge poses in personalized chaps with his wife, Grace, at a party in South Dakota celebrating the Fourth of July and his 55th birthday in 1927. 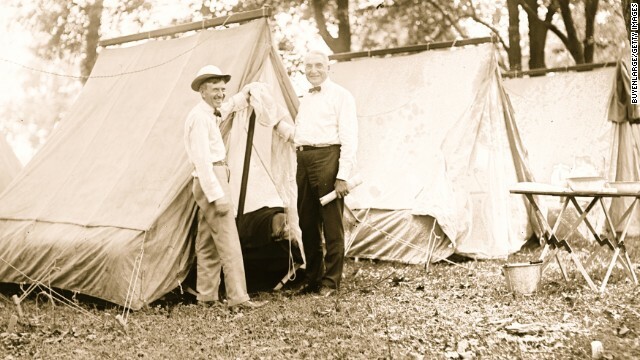 President Warren Harding, right, goes camping with Firestone Tire Co. founder Harvey Firestone in 1921. 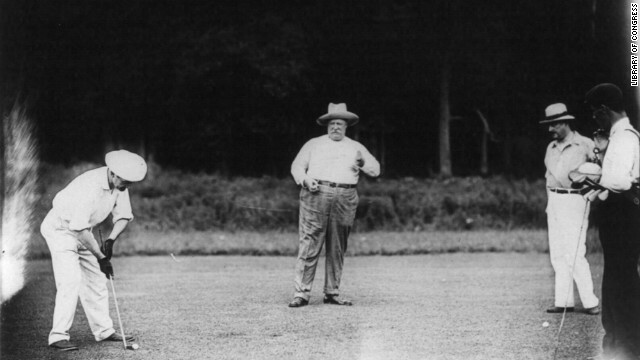 President William H. Taft, center, enjoys a round of golf at the Chevy Chase Country Club in Maryland in 1909. 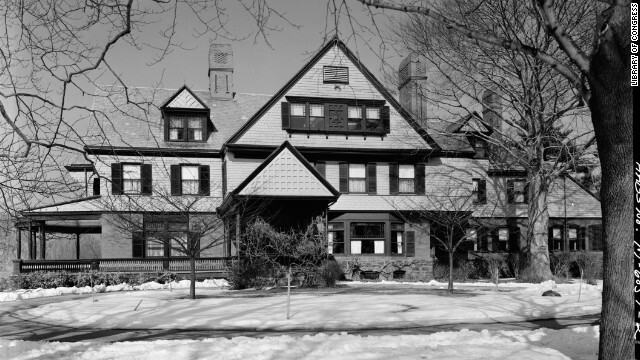 President Theodore Roosevelt's Sagamore Hill home in Oyster Bay, New York, often served as his vacation retreat. 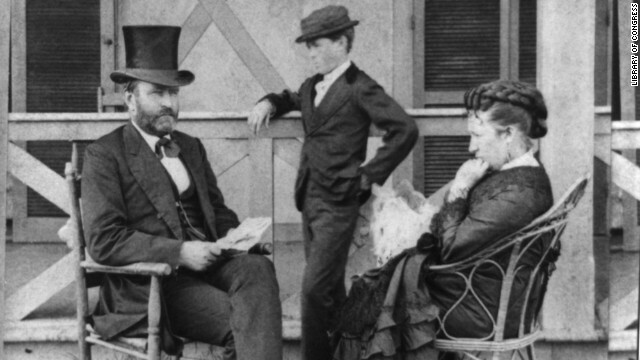 President Ulysses Grant enjoys the porch of his cottage by the sea in Elberon, New Jersey, in 1872. President Abraham Lincoln's summer retreat was just a few miles from the White House, and he used to commute between the two on horseback. 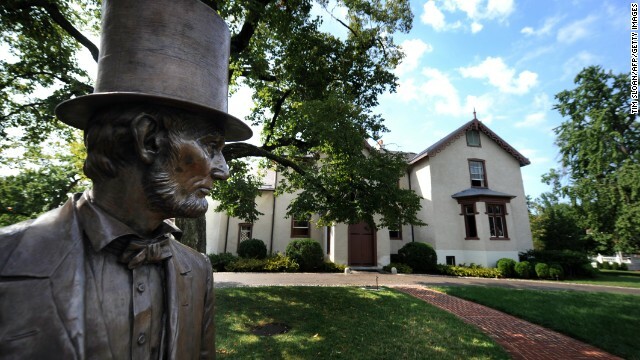 Now known as the Lincoln Cottage, it features a life-size statue of the 16th president. 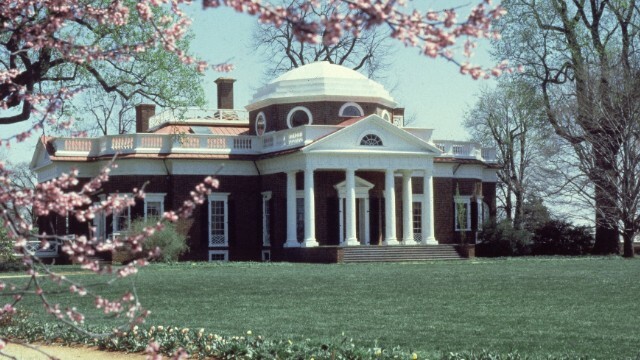 President Thomas Jefferson liked to spend time at Monticello, his home in Virginia. In 1805, he spent nearly four months there while in office. The couple, Natalie Heimel and Edward Mallue Jr., received an RSVP on Saturday from the President declining the invitation but sending them good wishes. Later on Saturday they were told they'd have to relocate their wedding venue away from the golf course, which is located on Marine Corps Base Hawaii, because the President was planing to play golf. "It was emotional, especially for her," Jamie McCarthy, the groom's sister, told Bloomberg. "She's the bride and in less than 24 hours they had to change everything they had planned." Obama regularly plays on the course, and anyone planning an event there is told ahead of time that plans may be reshuffled at the last minute when the President in town, according to a manager from the company that handled logistics for the wedding. Naile Brenna, the manager, said they had alternative options on stand-by, and the couple ended up having their wedding at a "much prettier and much nicer venue" near the home of the base's commanding officer, which has a view near the 16th hole. After Bloomberg asked for a response from the administration, the President called the bride. McCarthy said Obama apologized and congratulated the couple, and the phone call "made their day." The White House declined to comment on the story Monday after it was published. It wasn't the first time Obama's plans interfered with a wedding this year. In October, a bride was late to her wedding in Chicago thanks to stalled traffic from the president's motorcade.